When it comes to competing for the hearts and minds of creatives pros, some (see: Huawei) attempt to beat Apple at its own game. Others go an entirely different route. 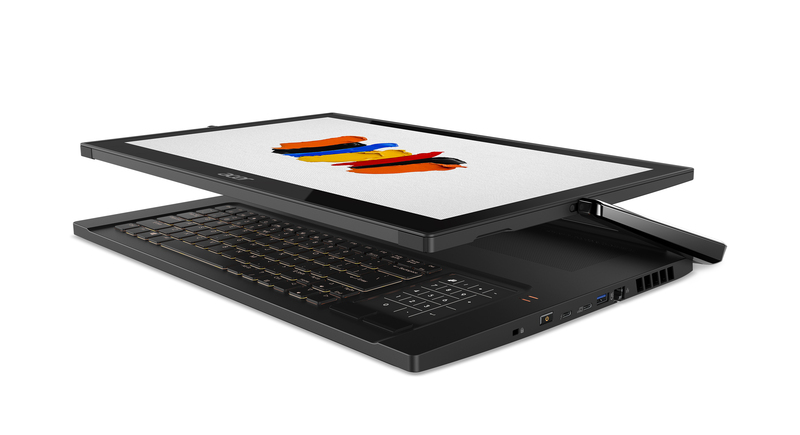 Acer’s ConceptD 9 falls firmly in the latter camp. More so that the rest of the line announced at an event today in Brooklyn, the 9 lives up to the “concept” part of the product name, with a unique swiveling tablet display that works as a sort of easel with Wacom pen support. With countless hybrid devices having flood the market in recent years, the ConceptD9 is among the more unique, eschewing the kind of Surface form factor most of these companies go in for. Nabbing marketshare from Apple is a tough ask when it comes to the company’s core of creative pros, but recent design decisions have left the company more vulnerable. Acer’s never been the first name one thinks of in the category, but the product offers some of the same drawing/3D design functionality Microsoft has featured in its much larger Surface Studio all-in-one.